Fr. 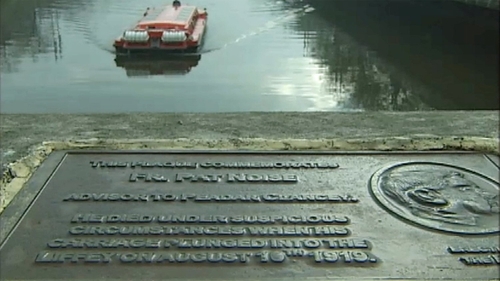 Noise died in mysterious circumstances when his carriage plunged into the Liffey in 1919. Over 70 yrs later, Dublin's millennium clock was situated in this exact spot. Where did this infamous clock end up and what happened on the night Fr. Noise died? 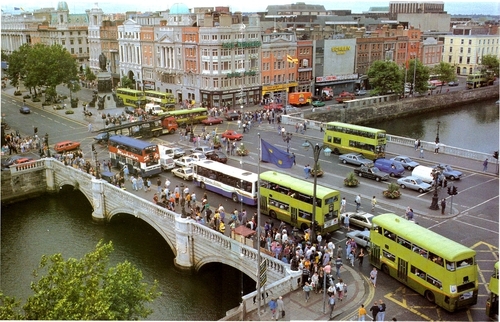 In the middle of O’Connell bridge, in the heart of Dublin, there is a 6x8 inch space in which two stories intersect. In this space today is a plaque which commemorates a Fr. 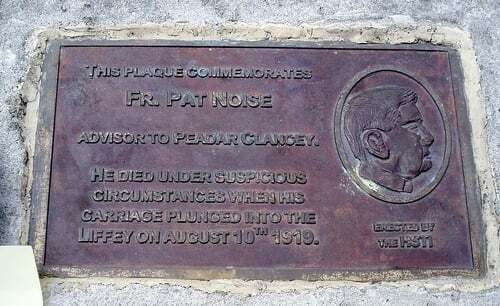 Pat Noise who is said to have died when his carriage plunged into the Liffey in mysterious circumstances in August 1919. 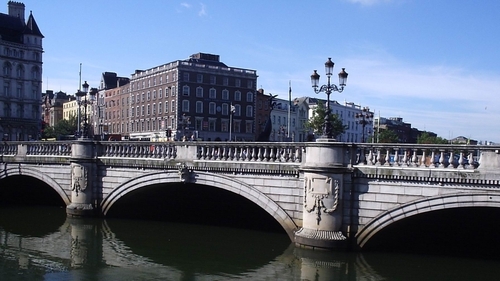 This spot on the bridge was also where the postcard machine attached to Dublin’s millennium clock was located in 1996. In this documentary, we attempt to shed light on the enigmatic Fr. Pat Noise and discover just what happened to the millennium clock and its 120 million seconds. 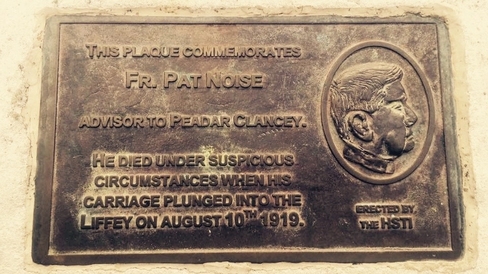 Dublin is home to many famous commemorative works, some controversial and other less so but none as mysterious as the plaque to Fr. Pat Noise. The small bronze plaque is situated on the busiest bridge in the country, despite this it went unnoticed after its installation in 2004 for two years. Little is known about Fr. Noise - and what is known, comes from secondhand sources. But the lack of a clear biography has not stopped Fr. Noise from becoming a cultural inspiration for Dubliners and those farther afield. We examine what’s known of Fr. Noise, look at his legacy today and attempt to peel back the myth surrounding him and his plaque. The trial of Fr. Pat Noise led this documentary team to another enigmatic piece of cultural history and urban architecture: the Millennium Clock. 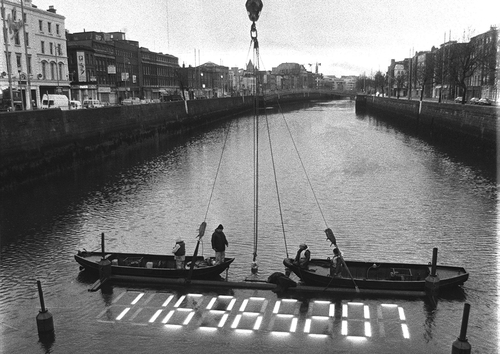 After much delay, this six-ton timepiece was installed in the River Liffey, just off O’Connell bridge in March 1996. The project was sponsored by the Lotto and was to countdown the 120 million seconds to the year 2000. 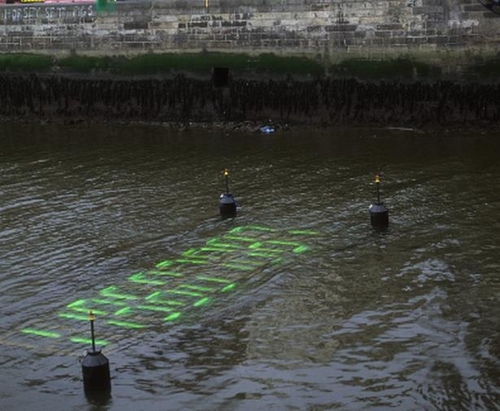 However just three days after being switched on to much fanfare live on RTÉ's Late Late Show, the clock was removed to allow for a boat race. The clock proved to be a public relations disaster and while it entered the water with a bang, it left with a whimper in December of that year (1996). Documentary On One: A Man out of Time tells the story of these two disparate but connected events that have now both entered the lore of Dublin City.